This is a Cup and saucer. 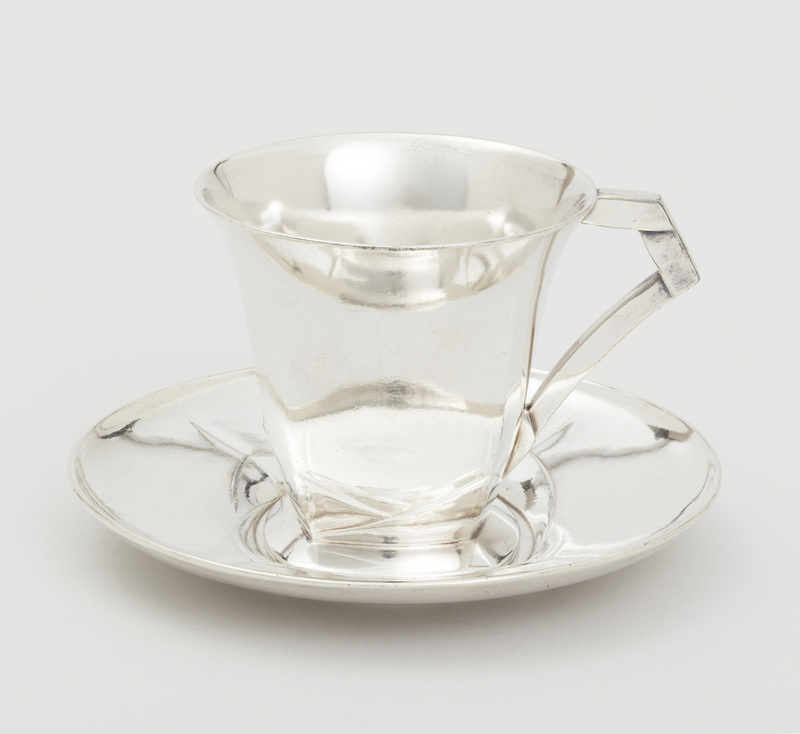 It was designed by Louis Süe and manufactured by Charles Christofle. It is dated 1931–1935 and we acquired it in 1993. Its medium is silver-plated metal. It is a part of the Product Design and Decorative Arts department. This object was donated by Daniel Morris. It is credited Gift of Daniel Morris and Denis Gallion.